Terra Lascivus Gay Resort brings you a very different experience: Romance on the Piazza with live singers under the starry skies! 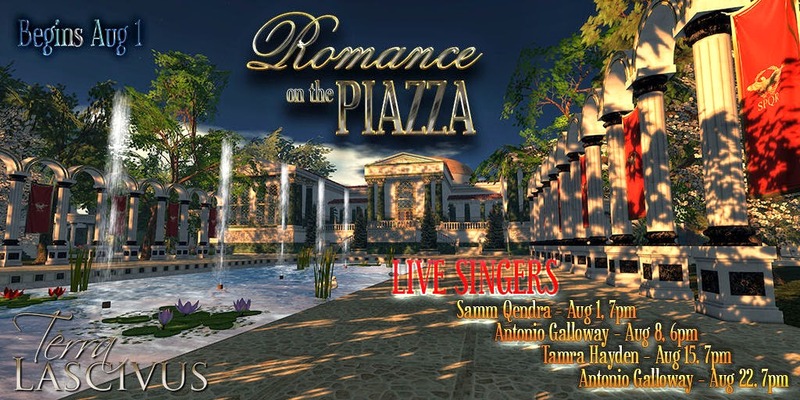 Have a glass of wine and get romantic with someone special as you dance to some of Second Life’s greatest singers on a Roman piazza! And more each Friday at 7 PM!